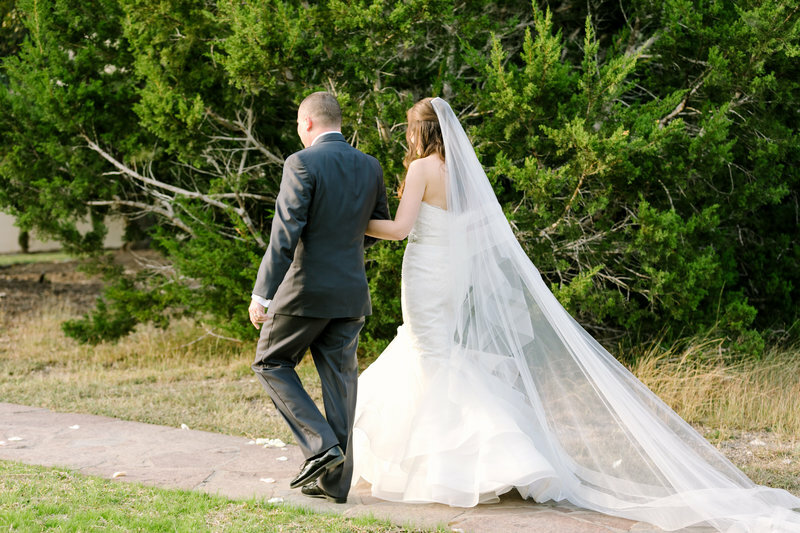 They chose the elegant backdrop of Ma Maison in Dripping Springs for their ceremony. 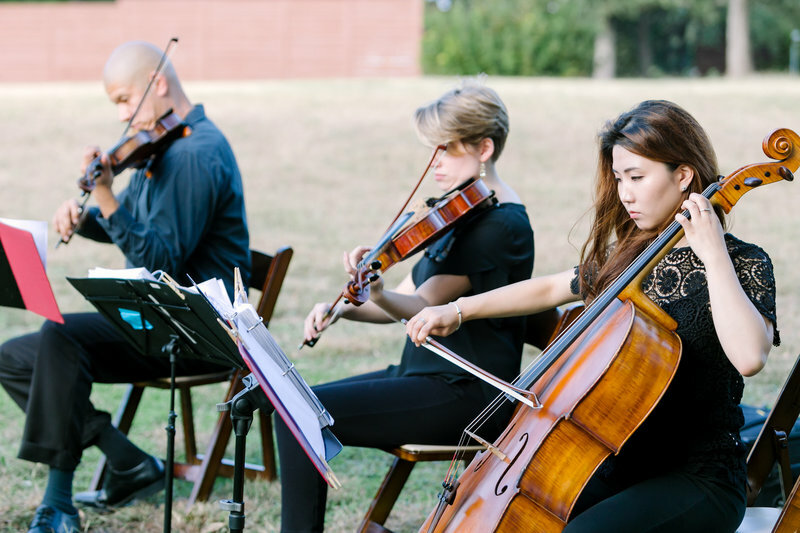 This classic, 23-acre wedding venue in Texas wine country calls for the beauty of string instruments to match the grandeur of the towering live oak trees and serene water. 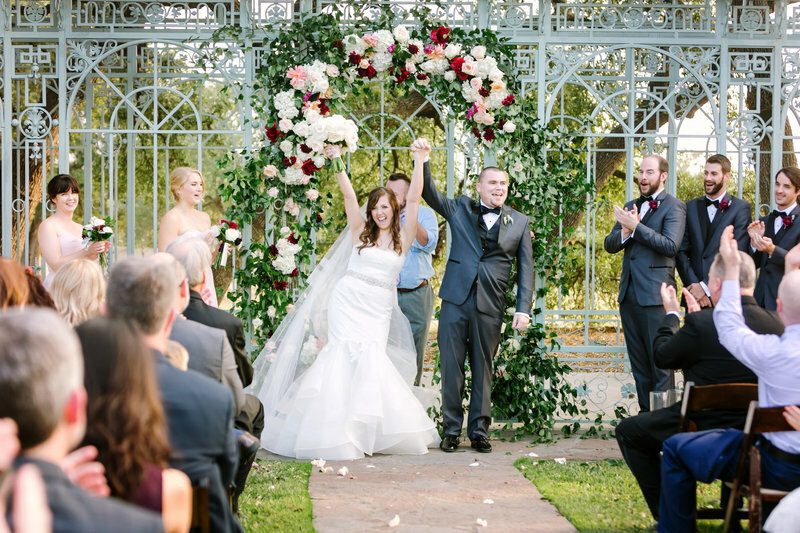 Although she’s an event planner, Jessica’s perspective switched when she was planning her own wedding. 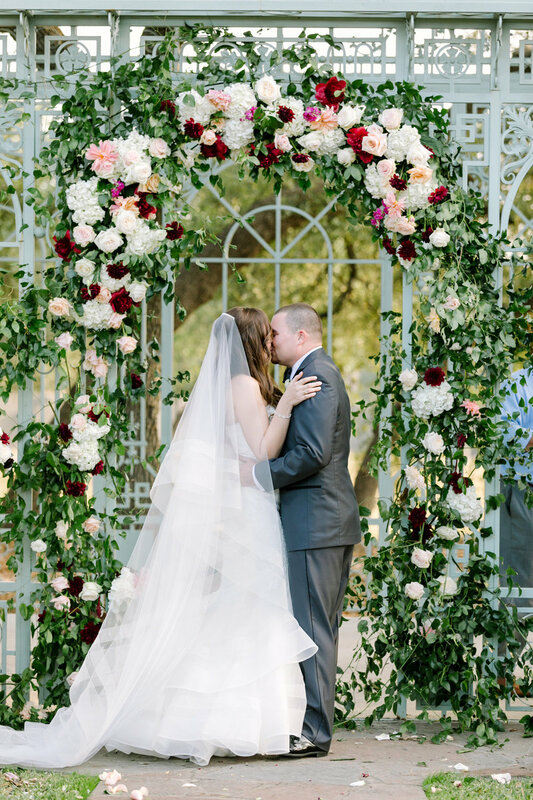 With the overwhelming amount of options and timelines and proposals to consider, Jessica realized what brides go through…. Weddings can be stressful! So, how did Jessica and Adam choose their music? They did one of the best things a couple can do: they decided to use music that was already meaningful to them. Remember, the music you play at your wedding will often be the thing that immediately brings you back to those wedding day memories, even years later. Choosing music that has a significant meaning to you, your partner, and your family will make your wedding memories even stronger. Jessica and Adam had been on a date to an Explosions in the Sky concert together, so this song had a special memory for both Adam and Jessica. Also, Jessica mentioned how this song always seemed to calm her. That’s a nice bonus to get out of your wedding music! to Shania Twain. She had the string trio play From This Moment On as she walked down the aisle. Now this song is not only a beautiful trigger to remember her early family memories, but also her wedding day. The Beatles once said: “All you need is love.” And I find that to be true.